State officials from the Department of Conservation and Recreation recently confirmed the presence of Emerald Ash Borer (EAB) in the city of Worcester. EAB has now spread throughout 25 states, killing millions of ash trees and causing billions of dollars in removal and replacement costs. Unfortunately, this latest news continues to mark the spread of this invasive insect which threatens ash trees across the country, including Eastern Massachusetts and Greater Boston. EAB is a small, metallic green beetle, native to Asia, which feeds on ash trees (Fraxinus spp.) and white fringe tree (Chionanthus virginicus). This pest can kill a tree quickly, usually within 2 to 5 years, because it bores directly under the bark disrupting the tree's vascular system. In late November 2015, four infested trees in Worcester were found by crews checking trees for another invasive pest, the Asian Longhorned Beetle. With EAB already confirmed in Berkshire and Essex Counties, the arrival of this pest in the central part of Massachusetts is concerning but not unexpected. Although eradication of EAB is not feasible, slowing its spread allows communities to prepare in advance and make the best decisions about how to manage ash trees before they are impacted. To help prevent the inadvertent spread of forest pests like EAB, avoid moving untreated firewood. Instead, find local reputable firewood suppliers, or purchase wood that is certified as treated. Several insecticide options are available to effectively treat landscape ash trees threatened by EAB. For optimum results, it is best to begin using control materials while ash trees are still relatively healthy. By the time noticeable canopy dieback has occurred, EAB has already caused considerably injury to its host tree. An effective treatment program may stop additional damage, but cannot reverse damage that has already occurred. The decision to protect ash trees from EAB infestation, or attempts to preserve an already infested tree may be influenced by several factors including location, cost, likelihood of success, and the benefits provided by tree. 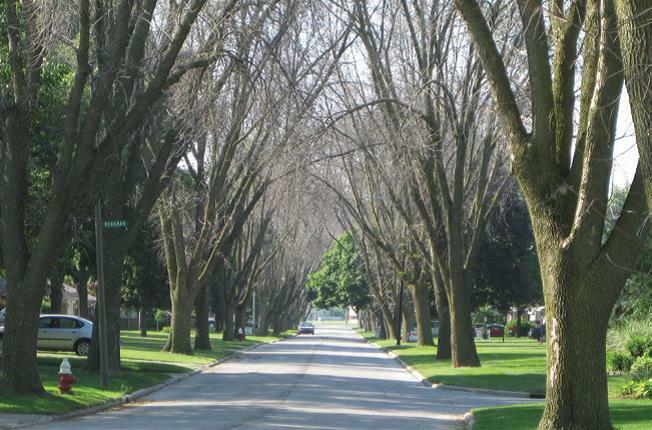 If you have concerns about your ash trees, contact a Certified Arborist at BTSE to help evaluate your options. 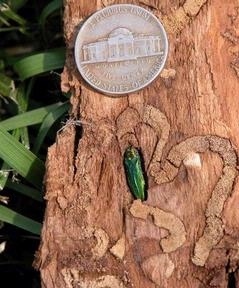 Click here for more general information about Emerald Ash Borer. To report possible EAB sightings within Massachusetts contact the state officials here.